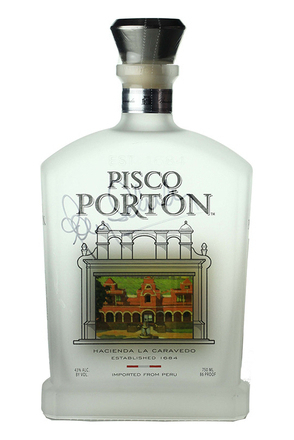 Pisco is the Peruvian National spirit. 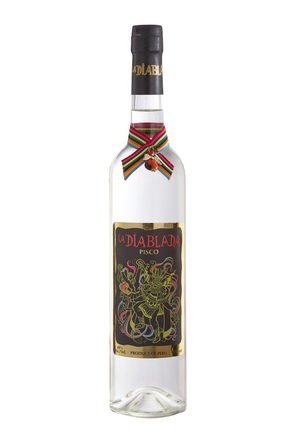 It is made by distilling wine fermented from the fresh must of eight specific varieties of vines to produce a clear, transparent brandy. 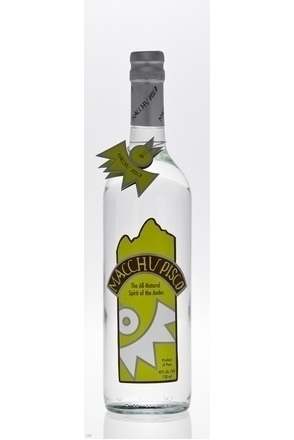 Peruvian pisco stands out due to its traditional artisanal production methods and consequently tends to be more expensive than Chilean pisco and is considered by many the premium style of pisco. 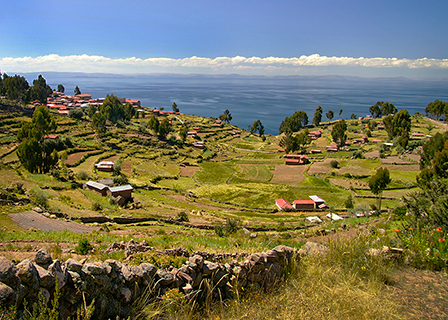 The climate of Peru is somewhat unsuited to growing grapes for wine production due to high temperatures resulting in grapes with too higher a sugar content. 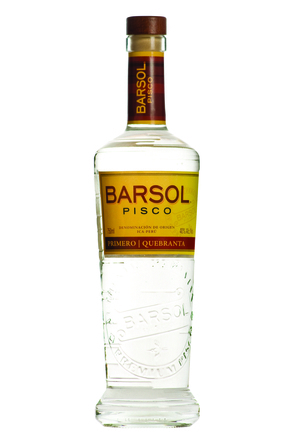 However, that high sugar content is ideal for the distillation of pisco. 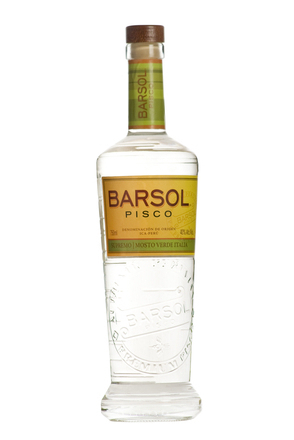 Peruvian pisco is unique due to the adaption of European vine varieties to the sunny soils of the southern Peruvian coast and the way it is made, particularly bottling at proof - cutting pisco with water is unthinkable for Peruvians. 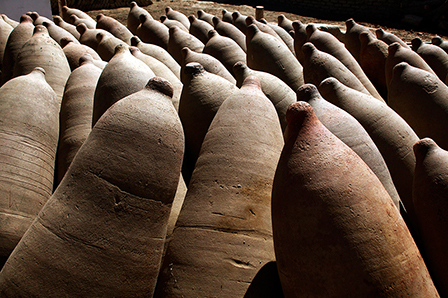 Pisco was originally made from a black grape variety brought to Peru by the Spanish. As the variety was forced to adapt to the stony soil and scorching climate of its new environment in the valleys of Southern Peru so its flavour changed and it became known as 'Quebranta, after quebrar, the Spanish for broken or tamed. As Peruvian pisco production increased so more grape varieties were used, each producing a spirit with a different flavour and aroma. As exports of Pisco increased so there was a move to establish production standards and regulate what grape varieties could be used for Pisco production. As a result eight different grape varieties are designated for Pisco production in Peru, and depending on the grape's character these are classified as non-aromatic and aromatic. The non-aromatic tend to be the favoured style in Peru but bartenders in export markets tend to prefer the aromatic varieties. 'Non-aromatic' doesn't mean they have no aroma, but they are less aromatic than the aromatic group of vines. Quebranta - the original Pisco grape variety and still the predominant non-aromatic grape. In Peru, Pisco Sours tend to be made using quebranta but that could just be because this remains the prominent domestic style. 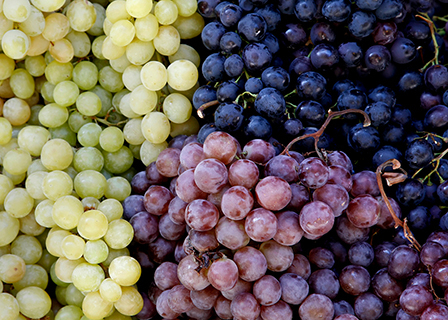 These four aromatic grape varieties are from the Muscat family or Muscat-derived. Italia - also used to make table wines, this is the most aromatic of the eight varieties and very floral in style. It is thought to have made the Pisco used by the Bank Exchange to make its Pisco Punches. 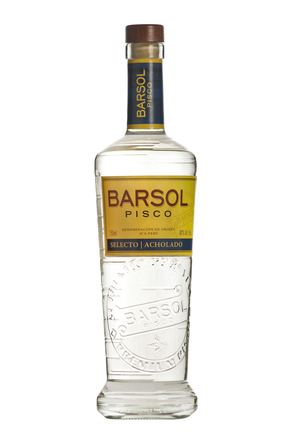 If the label of the finished Pisco is carry the name of one of the eight grape varieties above then it is not permitted to blend varieties. Varietal or 'puro' piscos must be made from 100% of that grape variety. Mosto Verde, which directly translates from Spanish as Green Must, are piscos distilled from partially fermented must so still retaining some of its natural sugars. Mosto verde piscos may be made from any of the eight aromatic or non-aromatic varietals above but they may not be blended. The fermentation is not checked by killing the yeast, it is simply a case of taking the grape juice and distilling it before the yeast has had time to fully convert the sugars to alcohol. Due to not all the sugars being converted to alcohol the yield from the grapes is much reduced so mosto verde piscos are as much as twice the price of puro piscos. Acholado, which translates as 'half-breeded, is made from a blend of must from several varieties of grape. • Locumba, Sama and Caplina valleys in the Department of Tacna. Differences in soil and climate between these regions result is piscos with a different character from one region to the next. The best piscos are made from grape juice from the first pressing. The long 8 to 12 day fermentation can be with partial or total maceration of the grape. The process must be entirely natural and it is not permitted to sugars or cultured yeast. The yeast must come from the grate skins and surroundings. The temperature is strictly controlled and the decomposition of sugars monitored. Fermentation produces a 11% to 14% alc./vol. wine which is immediately distilled. Only single distillation is permitted and after distillation no colouring, flavouring or even water may be added. 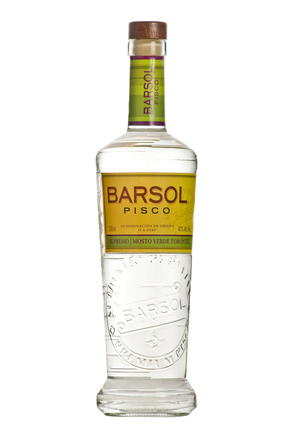 Consequently, and almost uniquely to Peruvian pisco, the distillate must be bottled at proof - the strength it leaves the still at. As with other spirits the distiller must discard heads and tails of the run, only utilising the centre part of 'heart' of the distillation. The volatile heads come of the still at a high alcohol percentage, then as the alcohol strength of the run falls the distiller must judge when to cut to heart, the part of the run that will be bottled as pisco. As the rum of heart distillate comes off the still so its strength will fall and the distiller must make his cut to tails before heavy fusil oils and other unwanted substances come off the still. The average strength of the heart distillate is in effect the bottling strength of the pisco. Each brand has a specific bottling strength so the skill of the distiller is not only to make cuts to achieve the best flavour, but also to achieve the desired bottling strength. 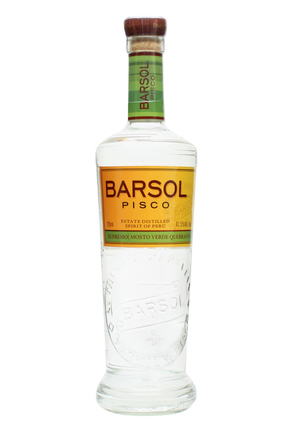 Peruvian pisco may be bottled at 38 to 48% alc./vol. (76 to 96° proof) but bottling strength is an indication of quality and aficionados consider 41 to 43% alc./vol. the minimum strength. The low distillation strength of Peruvian pisco results in a very flavoursome product due to more congeners, or flavoursome compounds coming of the still. Products such as vodka which are distilled to a high proof have comparatively little flavour due to their containing very few congeners. Bottling at proof is one of the things that sets Peruvian pisco apart from Chilean pisco, and indeed most other spirits. Prior to bottling the pisco must be rested, or ripened for a minimum three months in an inert material such as ceramic, glass or stainless steel that will not alter the physical, chemical or organic properties of the pisco (although evaporation may affect the alcohol strength). Oak aging is not permitted.) This period is often as long as a year and is comparable to leaving roast meat to rest before carving and is credited with giving Peruvian pisco a smooth rather fiery palate.